Paola contributes to the CSCP providing creative solutions to the built environment issues. She aims to solve these issues by collaboration and using self-sustaining design to increase the resilience of urban communities and cities. Paola has received two degrees in Architecture and Urban Planning, both from Brazil and the Netherlands and has over 20 years of experience in the field. Her services meet the needs for both the public and private sector for small design interventions as well as for long-term urban strategies. She strongly believes that a social-ecological systems’ approach to urbanisation can offer a new understanding of exchange between society and ecosystems; giving cities the opportunity to reshuffle technologies that are not helping communities achieve resilience. By juxtaposing the old and the new, the technological and the social, and the political and the economic, social innovations can build a resilient social-ecological system. Before starting her own business Paola provided a wide range of design services in the Netherlands, Germany and Belgium working at renowned architecture firms. Her projects have been carried out for both the public and private sector. In all cases interdisciplinary teams have tackled these projects. Paola’s responsibilities included the development of concepts, supervising services and design activities combined with the main tasks involved in accomplishing the deliverables necessary for the realization of the projects. 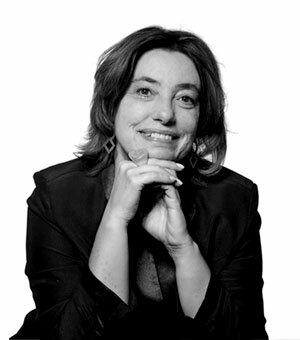 Paola is member of the Royal Institute of Dutch Architects and of the Brazilian Council of Architecture and Urbanism. She became an architect because her fascination with people and considers a blessing when she can get a group of different people to interact and share ideas to coordinate a project that benefits the community and the city overall. Paola is a dual Dutch-Brazilian national.